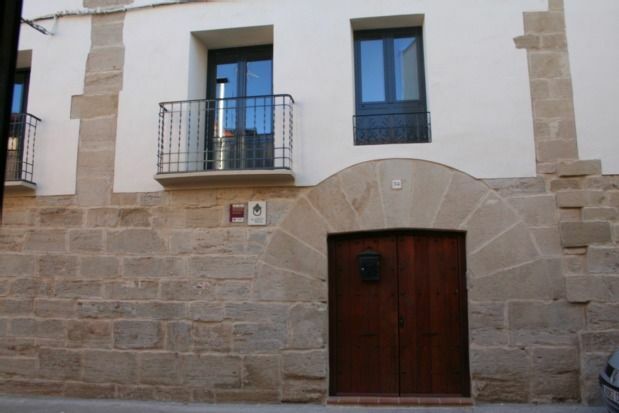 Accommodation in "Casa Abellanas" Rural House. Located on a hill, 640 meters high. Come and enjoy with all the senses of this land. - Nature in all its fullness. - Water everywhere - Unique gastronomy - Adventures in every corner. And, above all, the kindness of our people. The town of Apiés is reached from Huesca by the road that goes north to Fornillos (taking the detour of the industrial estate closest to the "mule monument in the mountains" and passing in front of the BMW dealership). Small population "a-piés" of the Sierra de Guara. A town belonging to the region of La Hoya de Huesca, which is located about 9 kilometers from the capital of Alto Aragón. This town of just 100 inhabitants, is very quiet and offers the ideal setting for those who are thinking of a different holiday, where rest and nature have a leading role. This town has medical assistance services twice a week, bakery (twice a week in winter and three times a week in summer), public telephone and mail.